Selfishness is something which is engrained in human nature and comes to the fore very early on in life. A child doesn’t need to learn to demand “Me, Me, Me!” when pointing to whatever he wants. When we no longer have the excuse of youth, we all too often see the world purely through our own eyes. This type of selfishness is often displayed in celebrity culture, where wealth is flaunted. This was exemplified recently where a French International footballer travelled to Dubai, to visit a celebrity chef, in order to eat a steak covered in gold dust. We know this because he published a video on Instagram in order to display his success and wealth for the world to see. Christian service relates to our redemption in Christ. It compels us to service in this world as our response to the salvation we have through Christ’s service. 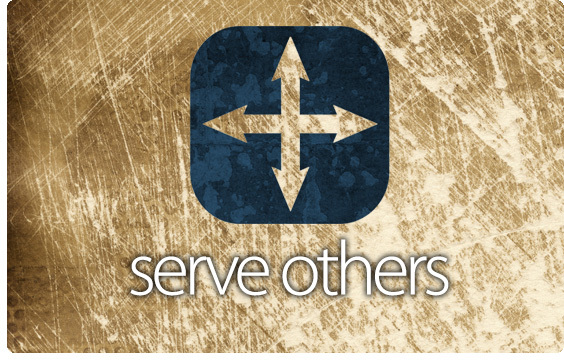 We are to serve Christ and we are to serve others. For instance, we serve Christ through sharing the Gospel with others as, “the love of Christ compels us” (2 Corinthians 5:14). Furthermore, to offer service to others is to do it to Christ Himself, “Lord, when did we see You hungry or thirsty or a stranger or naked or sick or in prison, and did not minister to You?’ Then He will answer them, saying, ‘Assuredly, I say to you, inasmuch as you did not do to one of the least of these, you did not do to Me.’ (Matthew 25:44-45).